Thursday, January 17, 2019 4:00-8:00 p.m.
Friday, January 18, 2019 8:30-9:45 a.m.
John H. Ratermann, age 74, of Breese, died Tuesday, January 15, 2019 at John Cochran VA Medical Center in St. Louis. He was born February 20, 1944 in Breese, a son of the late Sylvester and Mary Louise, nee Wolters, Ratermann. In addition to his parents, he was preceded in death by his wife Alice, nee Rieke, Ratermann, whom he married February 21, 1970 at St. Paul Catholic Church in Highland and she died July 17, 1993; a sister, Patricia Detmer and her husband Reginald; mother-in-law and father-in-law, Grace, nee Weidner, and Neal J. Rieke, Sr.; brother-in-law, Donald Detmer; and a sister-in-law Lenora Rieke. Surviving are his children, Jack (Krista) Ratermann II of Aviston and Jaclyn (friend Reid Setterlund) Ratermann of Breese; grandchildren, Finlay, John, and Ella Ratermann and Alice Rita Ratermann; siblings, Mary Ellen Detmer of Breese, Jane (Rich) Lappe of Breese, Leonard (Mary Ellen) Ratermann of Pierron, and Carl (Yvonne) Ratermann of Breese; brothers-in-law and sisters-in-law, Neal (Rosemary) Rieke of Highland and Russ (Nancy) Rieke of Pierron; and nieces and nephews. 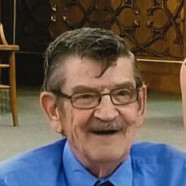 John was a veteran of the United States Army (1965-1967) and retired from Arrow Group Industries in Breese where he worked as a silk screen operator. He was a member of St. Augustine Catholic Church in Breese, past Commander of the Breese American Legion Post 252, past Grand Knight of Breese Knights of Columbus Council 2932, and the Steelworkers Union. John enjoyed reading, movies, watching the Cardinals, Blues, and Illini, but most of all spending time with his grandchildren. Funeral Mass of Christian Burial will be Friday, January 18, 2019 at 10:00 a.m. at St. Augustine Catholic Church in Breese with Fr. Chuck Tuttle presiding. Interment with full military honors will follow in St. Dominic/St. Augustine Cemetery, Breese. Visitation will be Thursday, January 17, 2019 from 4:00-8:00 p.m. and again on Friday, January 18, 2019 from 8:30-9:45 a.m. at Moss Funeral Home in Breese. In lieu of flowers, plants, and other gifts, memorials may be made to Mater Dei Catholic High School or the Wounded Warrior Project and will be received at the funeral home. 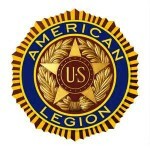 The Breese American Legion will hold services at 7:00 p.m. the Breese Knights of Columbus will hold services at 7:15 p.m. Thursday evening at the funeral home.